William Taylor Greenhalgh, III (Ty) has been dedicated to the healthcare information technology and information management industry for over 30 years, He is an ISC2 certified Healthcare Information Security and Privacy Practitioner (HCISPP) and Cybersecurity Officer. His experience has leveraged advanced disruptive technology solutions to assist healthcare organizations in overcoming seemingly insurmountable challenges. 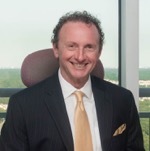 Ty is an active member in several groups and associations; Healthcare and Public Health Sector Coordinating Counsel’s Joint Cybersecurity Workgroup, the National Initiative for Cybersecurity Education (NICE) Workforce Development Workgroup, the North Carolina Health Information and Communications Alliance (NCHICA) Biomedical Taskforce. While employed with 3M Health Information Systems for over 25 years, he worked in a variety of capacities supporting the advancement of disruptive health information management technologies, achieved landmark results, the highest performance evaluation reviews possible and numerous awards. A early pioneer of the EMR, the Henry Ford Health System awarded the “Most Innovative Technology of the Year” to Ty, in conjunction with the American Health Information Management Association, for ground breaking work developing one of the first Electronic Medical Record systems to contain automated HIM workflow and electronic signature. No refunds, as the event is recorded and playback will be available for at least 90 days from the event date.